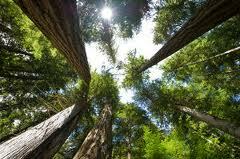 New EU timber regulations come into force. On 3rd March 2013 new timber regulations were introduced in the European Union. Known as the EU Timber Regulation (EUTR), any wood products sold in the EU (and therefore the UK) must come from legal sources which are environmentally credible. These regulations apply to all timber. Bennetts Timber is a member of the Timber Trade Federation (TTF) which requires all of their members be part of their Responsible Purchasing Policy and this ensures compliance with the new regulations. We also have Chain of Custody status through the Forestry Stewardship Council (FSC) and Programme for the Endorsement of Forest Certification (PEFC). Please see our Environment pages for more details. Therefore you can be sure that any timber supplied by us is sustainable. We are always pleased to hear from new or existing customers so if you would like any further information on any timber or DIY requirements call us on 01472 350151.